Welcome to a brand spanking new feature on The Neon Leopard… TNL Travels. Chris and I love to read about travel experiences and we are excited to share ours with you. I have just returned from a blissful week in Curaçao. It was fantastic. I have had lots of people asking me about the island and my experience. Especially since Curaçao isn’t a destination you hear very much about. 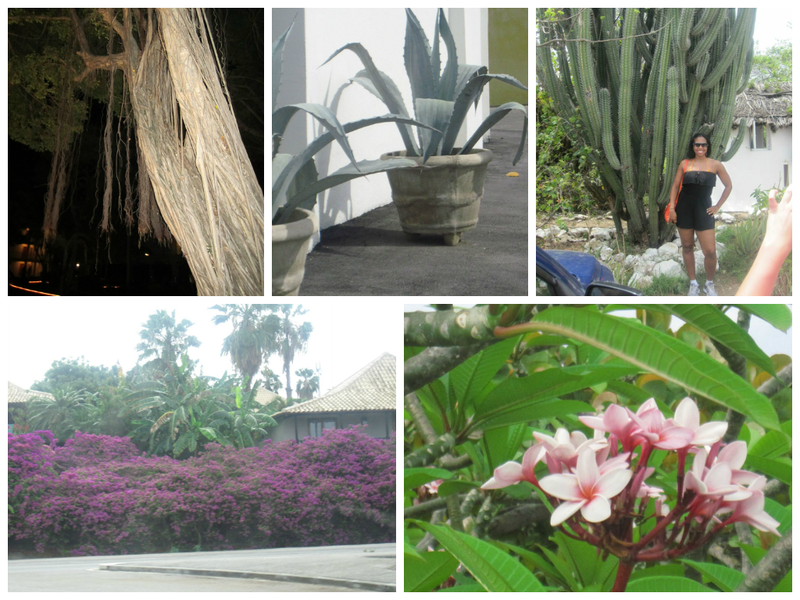 I have decided to split my Curaçao experience into two posts. One will be about Curaçao in general and my experience of the island as a travel destination , and the second will be about our hotel; Sunscape Curaçao. I travelled with three friends. When looking for a trip we knew that we wanted an all-inclusive beach vacation. We hoped to find a destination that none of us had visited before. When we found a Curaçao trip, we jumped at the opportunity to visit an island that none of us had given much thought to before. Being that this is low season, there were no direct flights to Curaçao. We had to fly through Miami. Check-in was brutal. Despite completing online check-in the night before, we were still directed to use their shoddy express check in machine at YYZ. The machine would not take our information so we finally had to have a staff member do it manually. American Airlines staff were unorganized and unapologetic. Returning home, we were notified that not everyone’s luggage made it back to Toronto. American Airlines staff had mis-tagged our bags and two of my friends did not receive their bags until the following day. at no point did anyone from American offer an apology or take responsibility for this. This island is lovely. I would highly recommend it. When we arrived at about 3pm, there was some light rain. This worried us a bit but that little shower was the last we saw of rain for the entire week. Every single day was sunny and about 32 degrees. Curaçao is like this year round, there is no chilly season. Another amazing thing about it is that it is located outside of the hurricane belt. The island is lush and beautiful with lots of colourful flowers. We saw a number of beautiful, interesting trees that we had never seen before. Aloe, agave and (surprisingly) cactus were also common. Papiamentu is the language spoken in Curaçao. It is creole dialect that is essentially a combination of Dutch, Portuguese and Spanish. Most used word? 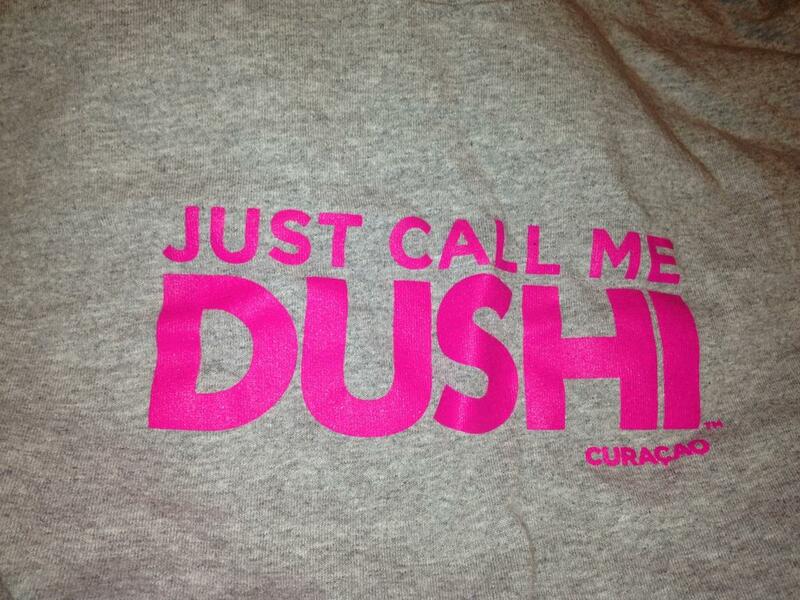 A Curaçao native tried to explain it to us , but it seems there is no exact translation for dushi. It comes from the term dulce , which means sweet in Spanish. It pretty much means sweet , or sweetie. 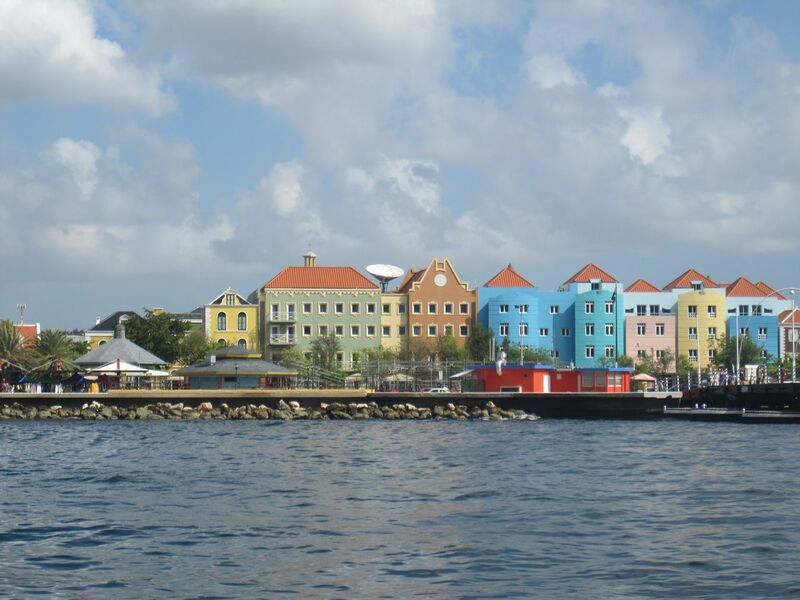 On our trip we visited the historic capital city of Willemstad twice. 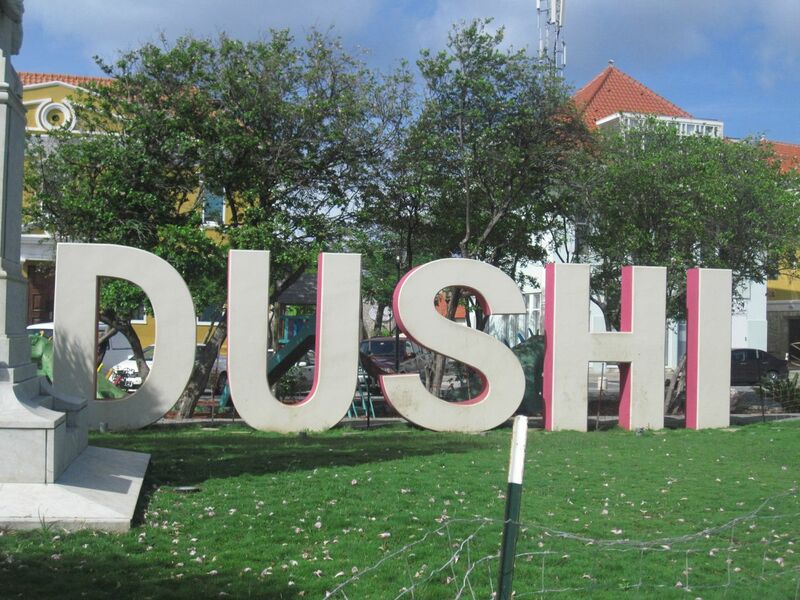 Willemstad is such a charming, clean, welcoming town full of colourful 17th and 18th century Dutch architecture. 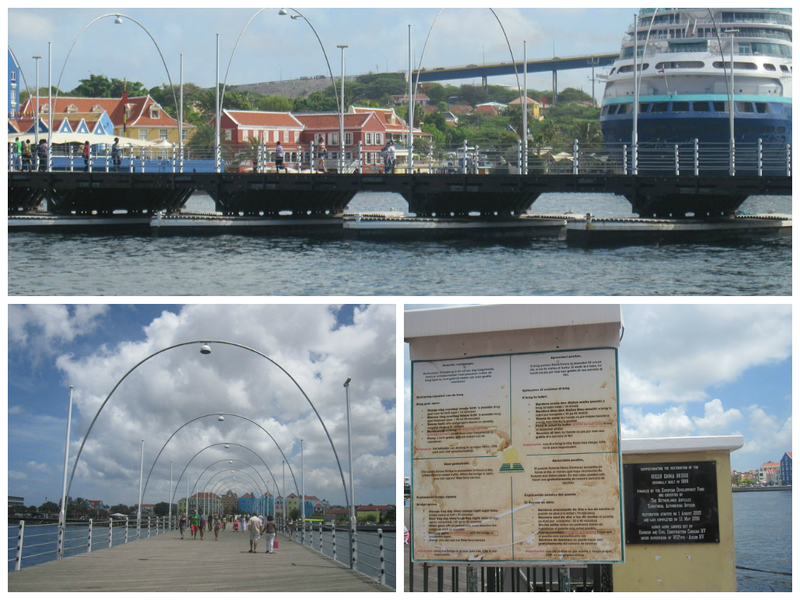 There are two districts in Willemstad, Punda and Otrabanda and they are connected by a pontoon ” floating” bridge. When boats need to come through the waterway, the bridge swings to the side. We saw people literally running to get to the other side of the bridge once it started moving. It generally only takes about 5 minutes to move and come back, but if it will be longer, a ferry will transport people back and forth free of charge. When the Dutch arrived in Curaçao 1634, they built forts at key points around the island to protect themselves from foreign powers, privateers, and pirates. 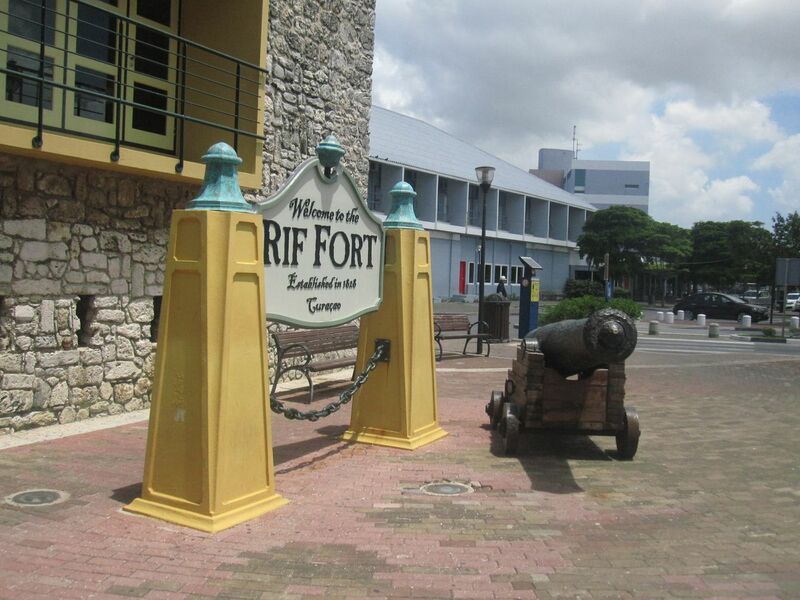 Five of the best preserved forts can still be seen today and we visited one of them, Riffort. The Dutch Guilder is the local currency in Curaçao. However, the American dollar is accepted everywhere as well. We went shopping and were surprised to find that the island had many familiar stores from home. Otrabanda had many high end stores like Tiffany, Mont Blanc, Furla and BCBG. The old district of Punda was more our speed with lots of souvenir shops and markets. But, some of the clothing was…questionable. What I really loved about Curaçao is that we never felt harassed or even solicited to buy anything. One thing we all brought back to Canada is liquour. 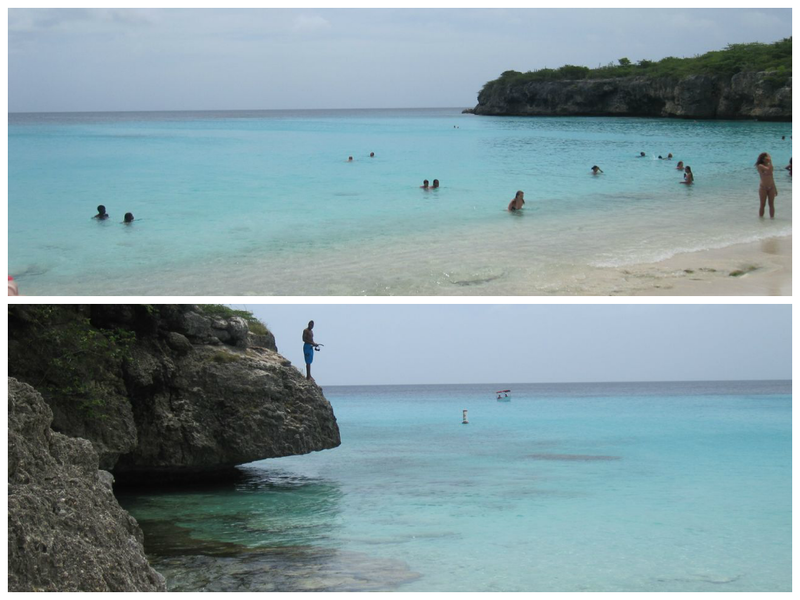 Before this trip , I had only seen blue Curacao. On the island we saw blue, red and green. We had enough of this stuff to last us a lifetime. I also bought some cream liqueurs; Ponche de Caribe and pistachio. They are super thick, and I have since discovered that they are oh-so delicious on ice cream. Food at our all-inclusive hotel was delicious ( I’ll talk more about this in my next post) so we only ate at an off site restaurant once. We went to a local restaurant called Jaanchies and it was delicious. 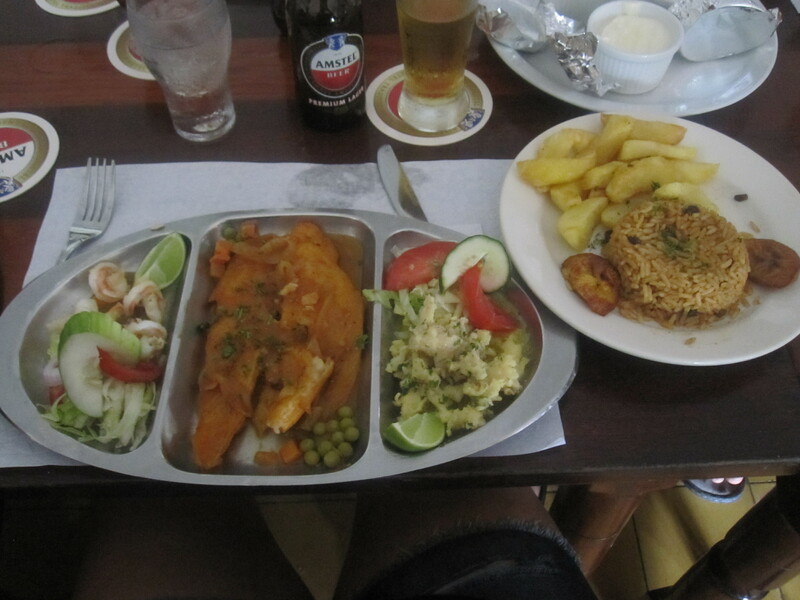 I had grouper, conch and shrimp. Nom! 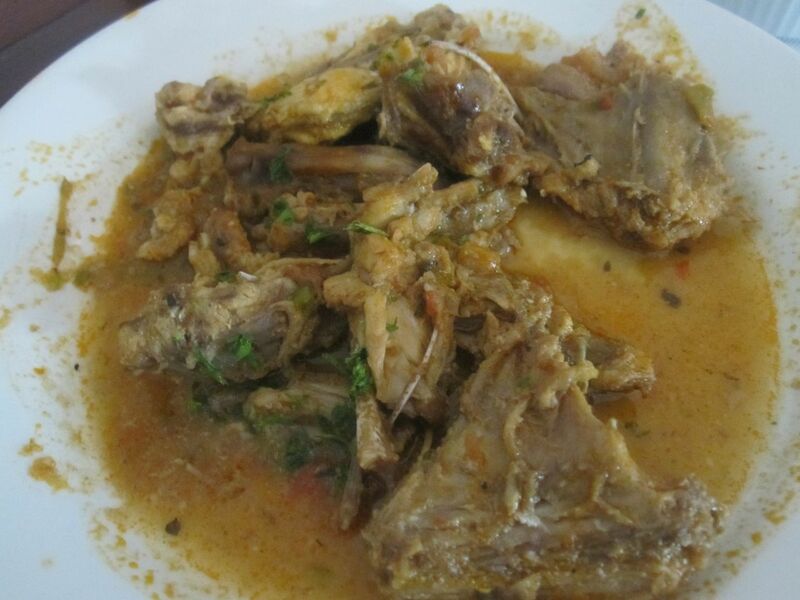 I decided to pass on a local delicacy…iguana stew! My friend said that it tasted like a chicken/fish blend. Another worthwhile place to visit outside fo the resort was the sea aquarium. 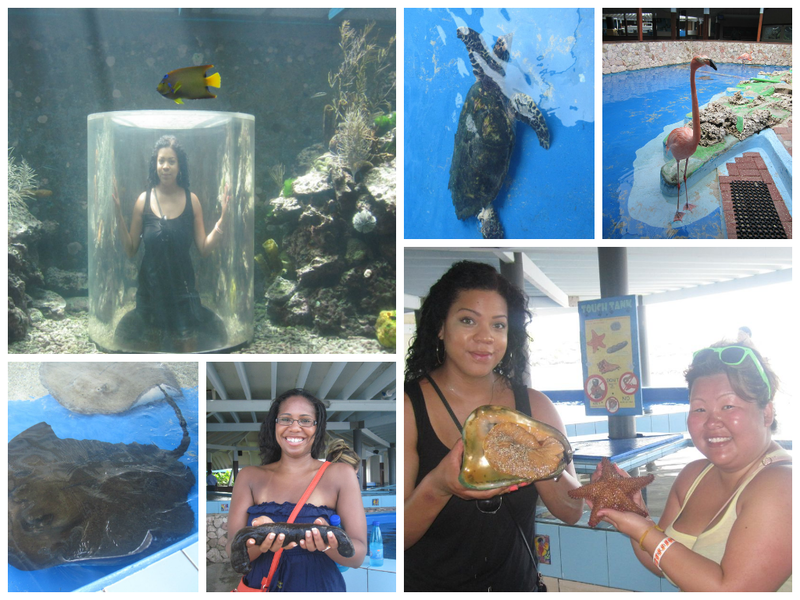 For $21 USD we were able to get a close up look at some marine life including sharks and giant stingrays. For the duration of our stay we felt extremely safe in Curaçao. People were friendly and kind and we ventured out on our own quite a few times. Still,we were advised against heading out on the quiet strip where our hotel was located at night, so we decided against it. Rental cars were available for $50 USD a day including insurance. Although we did not do this, it would be a great way to explore the island and I would not hesitate to try it out on a future trip. The beach in Curaçao was beautiful , especially under the sea ( please know that I sang that in a Sebastian the crab voice) where we saw a plethora of tropical fish. We went snorkeling at the hotel daily, so I will be sharing some pics in my upcoming hotel post. We made one visit to a beach away from the hotel, at Knipbay. This beach was really busy with both locals and tourists. Both beaches were extremely rocky at the shore. If you are planning a trip to Curaçao I would recommend investing in a pair of water shoes to keep from cutting your feet. To me , the greatest part of Curaçao was that it almost feels undiscovered. It was not commercial or tourist driven like some other islands that I have visited. 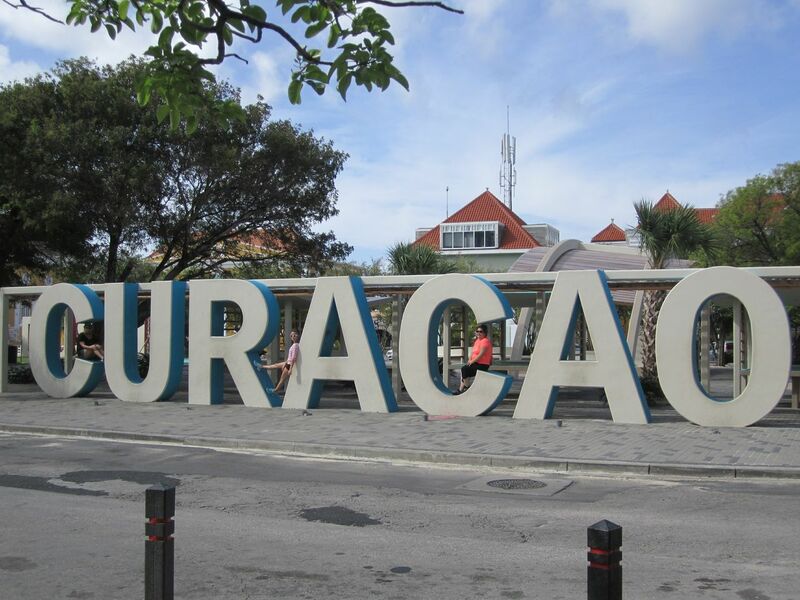 I read that only under 13% of tourists to Curaçao are North American! If you are thinking about this beautiful island as a potential travel destination , I hope this post has helped inform your decision a bit. Stay tuned for an upcoming review of the Sunscape Curaçao hotel. I’m so happy you’re taking me there tomorrow…. I can’t wait! 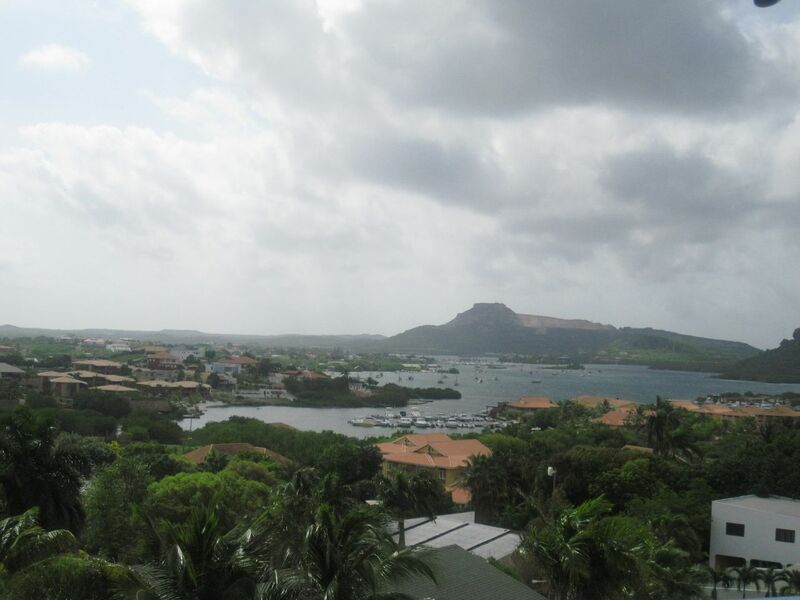 Great review – I’ve always heard beautiful things about Curacao. And now I know where DUSHI originated! Hope you’re all packed Chris. Lessssgo! Beautiful pictures! It looks like a slice of heaven – so happy you got to experience it. Hopefully I will get to see it myself one day. I think it’s cute how “dushi” can mean something so sweet (pun intended) in one language and something not so sweet in others. In Trinidad they use “doux-doux” to call someone sweetie (literally sweet-sweet) – and we know that it means something totally different here LOL! I am so looking forward to your upcoming post about your Curacao adventure! Thanks Seph, it was amazing! Oh wow, doux-doux is so similar, and sounds a lot more PC than dushi! My life will forever be changed now with the knowledge that there is a virtual rainbow of Curacao liqueres just waiting for me to try out there! Sounds like an amazing trip and what a fantastic review. I especially love the pictures at the aquarium (pop-up anyone & flamingo!) and the smiling faces on such happy travellers! Hi Kath! 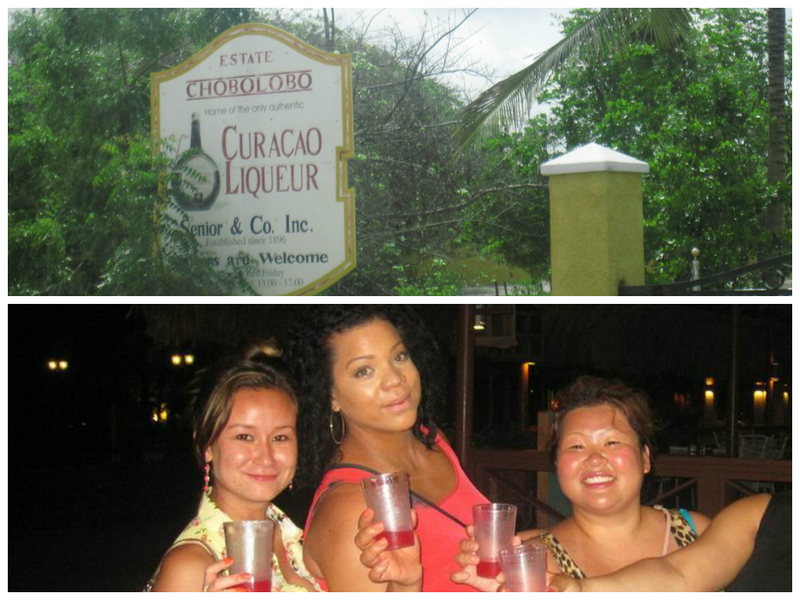 We planned to have a Curacao tasting one night , then we found out they’re all the same! The colour variety makes for pretty cocktails though! It was lovely, Erica. Lots of people don’t know much about Curacao…I hope this post helps spread the word about this paradise! This looks like such a beautiful island and it’s been on my to visit one day list. I have to sawy in Aruba they are big on Dushi too and we thought it was the most hilarious thing ever and we wern’t alone, so I share your amusement. The pics are fantastic and aside from the airline it sounds like a fabulous trip. I can’t wait to see more pictures! aww reading your blog post takes me back! YOLO! DUSHI! What a great trip… chance of a lifetime, how blessed we are to go see this beautiful island they call the Dutch Caribbean!!!! 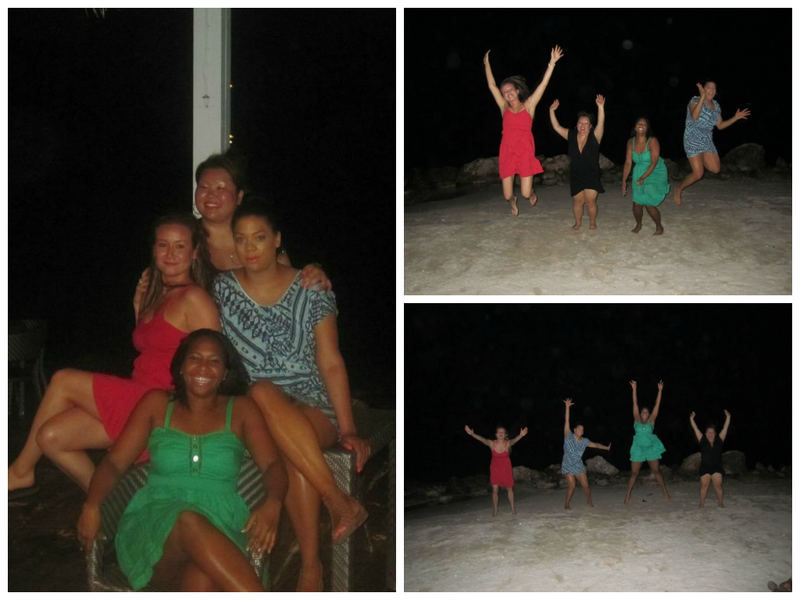 I had an amazing time- it was a great island to explore and I really enjoyed my stay at our resort. I look forward to reading your other post. The island itself was great to see and we did the whole island in a day! How freaking cool!!!! It is a small island but really it is INDEED like the undiscovered island of the Caribbean. Taking a look back at these pictures and what a wonderful time we had, I just cannot believe we did this!!! 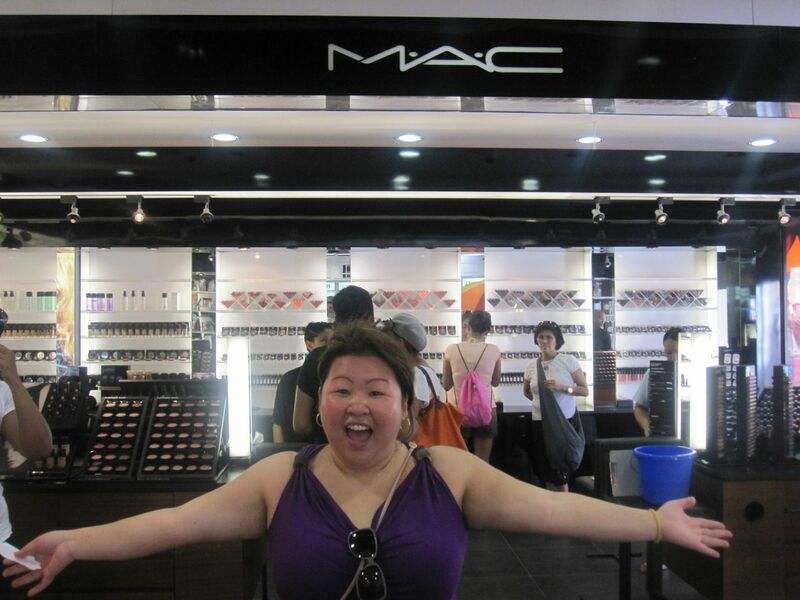 And I love that we found a MAC in Curacao!!! Made my life! I would recommend visiting this island any day! The Curacaoians are wonderful and so nice! 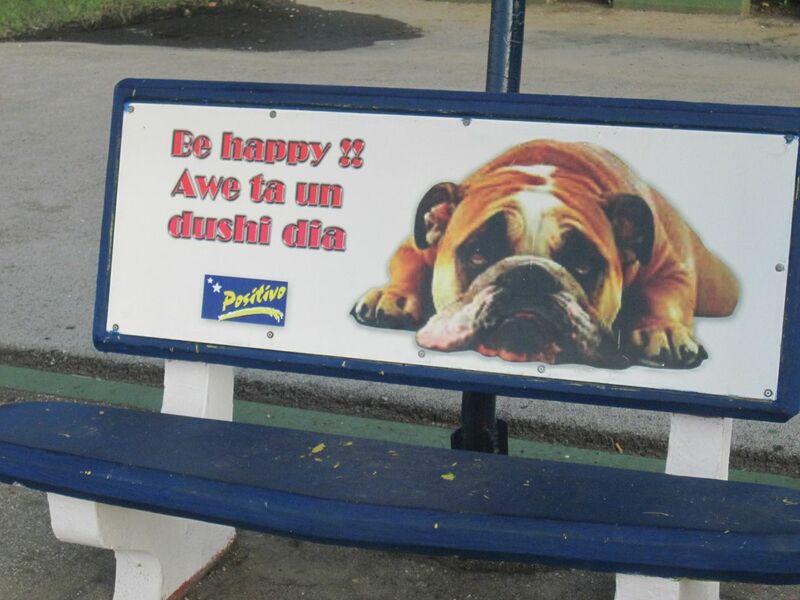 I heart Dushi Punda!!! It WAS a great trip. Thanks for commenting, dushi! Hi Cheralda!! Thank you for coming on the site and reading my review. It is so great to hear from you! We are all doing well, I hope you are too! I will definitely be in touch via e-mail soon. Hi Cynthia, youre very welcome. I am glad you found the review helpful. 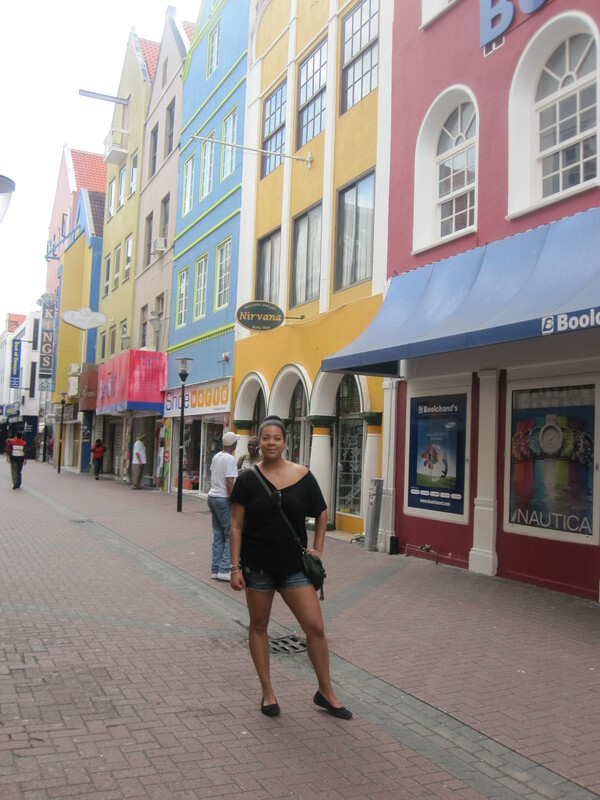 I really enjoyed my time at the Sunscape Curacao. Please let me know what you think. Have a wonderful trip!